Thanks Thorbjörn Andersson for authorizing the publication of the project on mooool, Text description provided by Thorbjörn Andersson. Thorbjörn Andersson: Umeå University is a young university, founded in the late 1960s. Here, ca 35 000 students from all over the world study in all fields of knowledge. Umeå University is located by the coast, approximately 300 km south of the Polar Circle. A campus park should supply with a variety of designated places with the capacity to host informal discussions and exchange of ideas. It is in the open, non-hierarchical spaces, rather than in lecture auditoriums or at laboratory microscopes that the truly creative interaction between students, researchers and teachers occurs. The quality of the campus park thus enhances the attractiveness of the university as a whole. 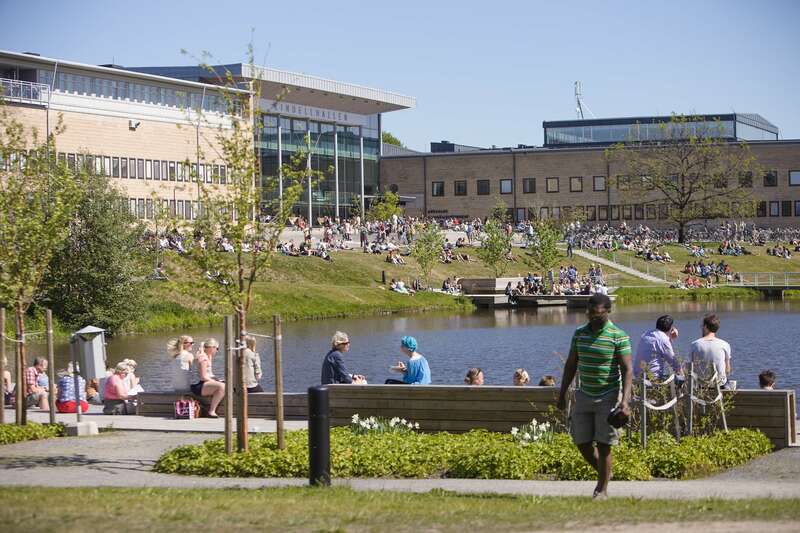 The new Campus Park at Umeå University consists of 23 000 sqm sun decks, jetties, open lawns, walking trails and terraces organized around an artificial lake. An island in the lake is the point of departure for a small archipelago with bridges leading to the southern shore. Here, the visitor meets a hilly landscape with sunny as well as shaded vales, interspersed by the white trunks of birch trees. ▼湖中小岛上的平台是连接南北两岸木桥的休息点 An island in the lake is the point of departure for a small archipelago with bridges leading to the southern shore. In the Campus Park, promenades weave themselves forward between points of social interest. These vary in size and are sometimes larger and livelier, sometimes smaller and offering intimacy. The social spots are oriented in different directions, so that the visitor always can find an attractive place. The promenades are of two types, one winding, gravelled path with shifting vistas and lighting in low positions, and a wider, paved promenade which connects the entry points of the surrounding buildings. ▼蜿蜒曲折的砾石小径 The winding gravelled path with shifting vistas and lighting in low positions. 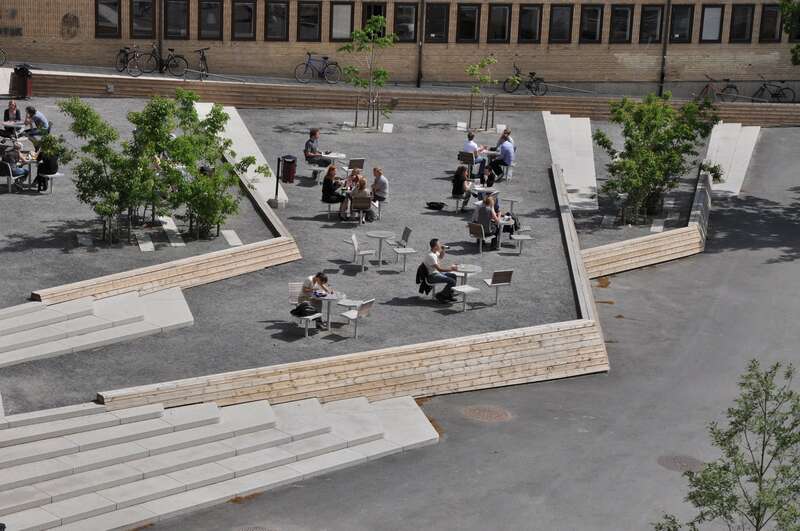 In front of the lively Student’s Union, an outdoor lounge is laid out in the direction facing the sun. The lounge is a series of gravelled terraces in fan-shape, each terrace having café furnishing and shaded by multi-stemmed trees. ▼宽阔的步道连接建筑的入口 Paved promenade which connects the entry points of the surrounding buildings.